Austin Nigh of Welland won his first Kart Feature of 2018 in the Superior PetroFuels Junior Restricted Division Tuesday August 27th. 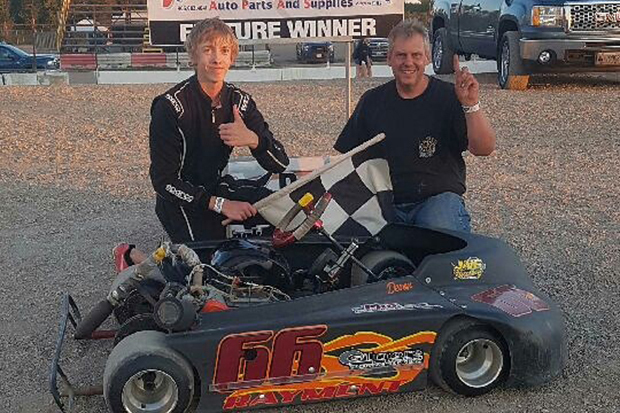 In other Performance Manufacturing Divisional Action … Two Niagara Falls drivers – Nigel Pendykoski took home his 8th RCM Racing Equipment Junior 2 Feature win while Dylan Culp won his 4th Southern Ontario Modified Lite Racing Association Senior Animal Feature. Ed Crozier made the drive from his Mississauga home pay off as the Wilder Racing Engines Senior Fun racer made his 5th visit to St. Catharines Discount Auto Parts Victory Lane. The 25th Anniversary Kart Season will conclude Tuesday September 4th. Pits Open at 5:30. Racing starts at 7 PM – Grandstand Admission is FREE. RCM Racing Equipment Performance Manufacturing Junior 2 Division – 8 laps – Heat 1 Nigel Pendykoski, Chris Crowe, Hana Rothwell, Cohen Corbett, Trevor Evans. Ben Colavecchia, Madelyn Goulding. Heat 2 Chris Crowe, Trevor Evans, Hana Rothwell, Nigel Pendykoski, Ben Colavecchia. Cohen Corbett, Madelyn Goulding. Superior PetroFuels Performance Manufacturing Junior Restricted Division – 8 laps – Heat 1 – Colton Lane, Jacob Mamo, Jaedon Lawson, Davis Grocott, Austin Nigh, Cameron Lane, Lukas Moote. 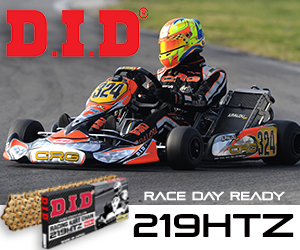 Heat 2 – Austin Nigh, Jaedon Lawson, Colton Lane, Jacob Mamo, Davis Grocott, Lukas Moote. Wilder Racing Engines Performance Manufacturing Senior Fun Division – Group 1 Heat 1 10 laps – Lenny Wiley, Tom Matthews, Jacob Broughton. Group 1 Heat 2 – Lenny Wiley, Tom Matthews, Jacob Broughton, Shawn Konkle. Group 2 Heat 1 – Ed Crozier, Mark Lemay, Colton Lane, Dave Lane. Group 2 Heat 2 – Ed Crozier, Mark Lemay, Dave Lane, Eric Ethier. Southern Ontario Modified Lite Racing Association Performance Manufacturing Senior Animal Division – 10 laps – Heat 1 – Dylan Culp, Travis Majuery, Devon Rayment. Heat 2 – Dylan Culp, Devon Rayment, Travis Majuery. RCM Racing Equipment Performance Manufacturing Junior 2 Division – 15 laps – Nigel Pendykoski, Chris Crowe, Hana Rothwell, Trevor Evans, Cohen Corbett, Madelyn Goulding, Ben Colavecchia. Superior PetroFuels Performance Manufacturing Junior Restricted Division – 15 laps – Austin Nigh, Jaedon Lawson, Colton Lane, Jacob Mamo, Davis Grocott, Lukas Moote, Cameron Lane. Wilder Racing Engines Performance Manufacturing Senior Fun Division – 20 laps – Ed Crozier, Tom Matthews, Jacob Broughton, Mark Lemay, Dan Lavallee, Shawn Konkle, Eric Ethier, Lenny Wiley, Colton Lane, Dave Lane, Kyle Miller. Southern Ontario Modified Lite Racing Association Performance Manufacturing Senior Animal Division – 20 laps – Dylan Culp, Travis Majuery, Devon Rayment.